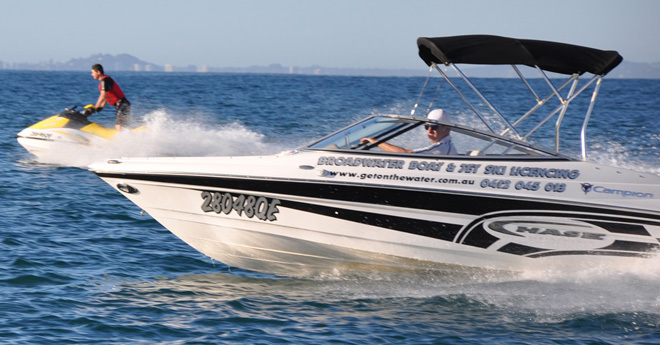 The RMDL course (boat Licence) is a six hour session comprising both theory and practical. The theoretical component is delivered in a classroom environment using the Boat Safe workbook and the National PowerBoating Workbook issued by Wet Paper Publications. The instructor will provide you with the information required to complete the prerequisite activities prior to attending the course. An online practice test is available to clients that make a booking. The practical takes place on the Broadwater in our easy to drive, Modern Champion Chase. This is where you are taught the basic of boat handling, driving and safety manoeuvres. No prior boating experience or knowledge is required as all elements are taught throughout the course.